Note: The following article was not written by us but just appeared on our site. For investigation and archive purposes this article will stay online, however nothing said within it represents us, our ideas or projects. Our researchers have found astonishing evidence for something we've long suspected: Toast is actually an ancient XM construct. Not only that, but it is believed that it was the first thing that was formed right after the Big Bang. Evidence suggests that the Toast is controlling XM flow through the portal network and uses it to not only guide humanity, but also exogenous entities. The first mention of Toast dates back to 1430 in a recipe for Oyle Soppys (flavoured onions stewed in a gallon of stale beer and a pint of oil). This is also believed to be the first contact Toast had with humanity after guiding them through XM beforehand. 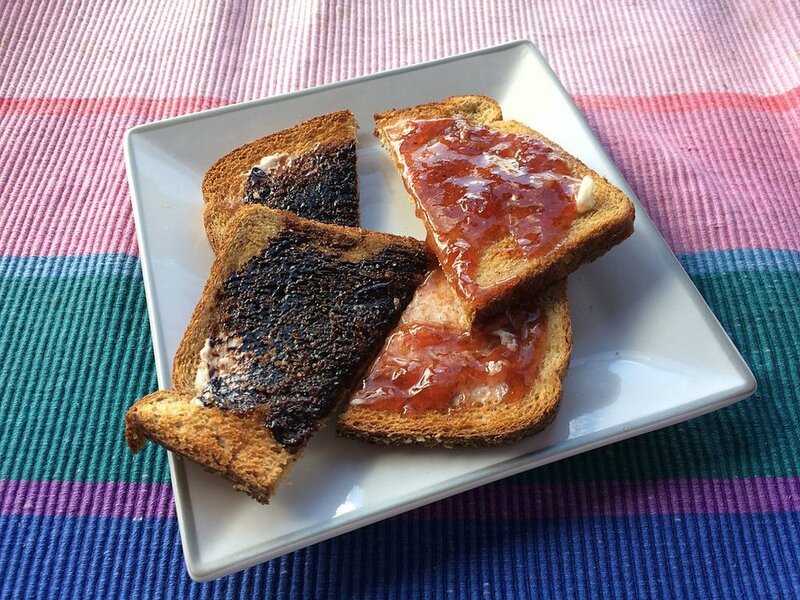 Humans who ate Toast were said to be successful in life, becoming rich and healthy. As it was unusual to live over 80 years at that time the Toast dialed back some of it's benefits which is why we only just now discover it's true potential. We're not the only ones researching Toast. The NIA also made incredible advancements in Toast research which was leaked on April 1st, 2019, into the Ingress scanner. It is unknown who leaked the Toast, but rumor suggests it might have been the Toast itself in a show of power. Within the Ingress Scanner visual changes were made to certain objects so they look like toast. In addition, a toast glyph was discovered along with old glyphs being given new meaning, as well as a 2x AP reward from the NIA for deploying and destroying Resonators. We're exited to share more information on our research soon. Please stay tuned.